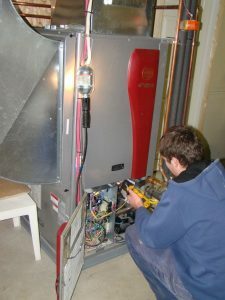 10 years ago Gary Porter of Porter’s Refrigeration installed our open loop geothermal system from WaterFurnace. Now a decade later, we remain convinced that we made the right choice, economically and environmentally. Over this ten year period, our system has demonstrated that it can meet the heating and cooling needs posed by our challenging Canadian climate. We are also extremely satisfied with Gary Porter and the services provided by Porter’s Refrigeration. They know geothermal heating and cooling systems. They can be counted on for quality installation and ongoing maintenance. Gary is readily accessible and able to answer any questions we have had about our system. He keeps up-to-date with developments in the area and is open to new ideas for improving the efficiency of our system. Based on our experience, we would certainly recommend both geothermal heating and Gary Porter. When we decided to build our dream house we knew we wanted it to be energy efficient. We did a lot of research and came to the conclusion that geothermal heating/cooling was the right way to go. We then researched the available types of geothermal furnaces and chose the WaterFurnace Synergy 3D as the best fit for our needs. Through the WaterFurnace we found Porter’s Refrigeration and we are very glad we did. Right from the beginning Porter’s were extremely helpful and willing to go the extra mile. Larry Porter came out to look at a property we were considering buying and told us the geothermal possibilities for that site. When that property didn’t work out he came to visit the next property we chose and he and his son Gary Porter worked with our builder and our well driller to design and install the system, which included in-floor radiant heat on the lower level, hot air on the upper level and air conditioning throughout. We are very happy with the results. Gary was extremely helpful (and patient) while explaining the new system to us at installation. Since then whenever we have had any questions we know we can call Gary and he is always ready to take time and explain things. We would highly recommend Porter’s Refrigeration for any installation/service, they are very helpful and responsive and did an excellent job for us. 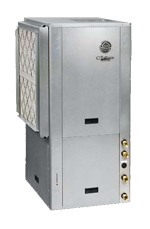 If you are considering purchasing a geothermal furnace we would recommend the WaterFurnace Synergy 3D system, our new home is very comfortable in both winter and summer. Ron G. & Linda B. We recently had our home upgraded, which included the installation of a WaterFurnace System. For this project we selected Porter’s Refrigeration. We were most impressed with their friendly, informative discussions in regards to the equipment. The installation was performed professionally and the home was left neat and tidy after the installation, not to mention the exceptional comfort provided by the equipment. The bill was presented upon completion of the project and it matched exactly the quote. We were not faced with embarrassing “extra” charges. Our relationship continues today, to be friendly, yet professional. We would recommend this company to anyone without hesitation.